It would be no misrepresentation to say clearly that the New York Film Academy is the future for modern film making. Sure there are those venerable institutions such as NYU, USC and UCLA. All fine schools, of course, and in between classes in required academic areas like, oh I don’t know, The Love Life of the North American Fruit Fly perhaps one can get a decent education in film making over time. It is true that these fine schools have in the past and still do turn out some very successful writers, actors and directors. But in 1992 Producer Jerry Sherlock (Hunt for Red October) became frustrated with what he saw as a serious lack of good “hands on” real world film making information and education. Never the kind of man to sit still with an idea Jerry Sherlock created a workshop for film makers. It was the beginning of what has grown today into the New York Film Academy. It all started at Robert De Niro’s Tribeca Film Center. It was an intensive four week workshop that taught each student how to engage in visual story telling or film making. The word spread and soon the demand exceeded the available resources and growth was inevitable. And while the subject of Fruit Flies never got involved there really is much more to professional acting, writing and directing than could be reasonably presented in a four week work shop. 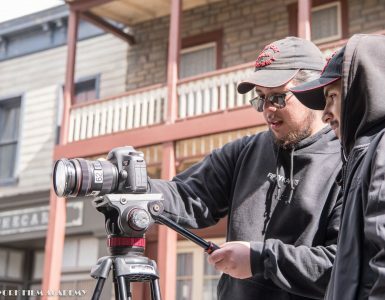 The program rapidly grew into an intense immersion into the world of film making that led to the granting of a Bachelor of Fine Arts degree in just three years. That alone is brilliant in my opinion for giving every degree seeking student one extra year of real life. As this growth was taking place Solomon Brother’s currency trader extraordinaire Jean Sherlock was wrapping up a three year stint in the very exciting city of Hong Kong. 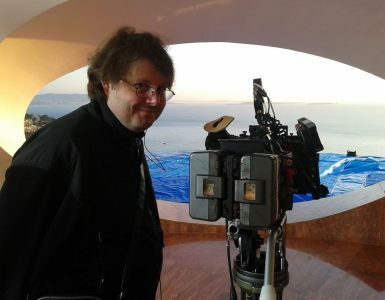 He went back to his hometown of New York City and his father, Jerry Sherlock, brought him aboard the now degree granting and still rapidly growing New York Film Academy. Soon that brought Jean to Los Angeles and the back lot of Universal Studios where the west coast branch of the New York Film Academy lives today. New York Film Academy now has three full time campuses in; New York City, Los Angeles (Universal City) and Abu Dhabi UAE. But it was on the Universal City campus where I meet the very gracious Jean Sherlock. I honestly had no preconceptions about New York Film Academy, nothing good or bad. It really was a blank slate when I first sat down with Jean Sherlock to discover exactly where his school, the New York Film Academy fit in amongst the well known giants. The picture that unfolded was rich and exciting. The New York Film Academy offers its students a true immersion in real world hands on experience. For example at the New York Film Academy each student writes, shoots, directs and edits 8 projects and works on crew of 28 more in the first year. That is intense. But it is possible in part because NY Film Academy keeps class size down to about 16 students per section, even less for the acting classes. This allows a strong interplay between teacher and student. Oh and those teachers all come from strong academic and industry backgrounds. From day one the students work with real proven industry professionals and that quality is enhanced with regular guest speakers such as actor Philip Seymour Hoffman (Capote), Producer/Director Doug Liman (Bourne Identity) and actress Glenn Close (Fatal Attraction). So impressive are their programs that many of the Hollywood elite have sent their children to NYFA. Psst! A Spielberg child has been seen on campus. Yes, that level. Film schools need equipment and that they have in abundance as well and it is all high level genuinely professional gear made for making movies. It is even possible for students to get access to top of the line Panavision gear and that just doesn’t happen in Gallop, NM. Which brings up the matter of location. With our official interview in the can Jean Sherlock turned me over to his trusted assistant Tom Slivinski for a tour of the rest of the campus. For that we used a vehicle because the campus is the Universal Studios back lot. All of it. Yes, THAT back lot, the one millions of tourists pay big money to ride around in a tram. This is all included in the NYFA package and it is clearly inspiring. There is just no better location for a top end film making school. Students at NYFA start at the pinnacle. 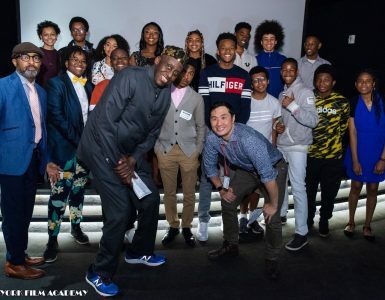 Today the New York Film Academy has grown into a giant provider of high quality education in all major aspects of film making. They offer both Bachelors and Masters in Fine Arts degrees, both accredited by the National Association of Schools of Art and Design. They also offer a wide variety of summer programs directed at tweens, teens and adults. You should at least visit their website at www.nyfa.edu and explore their many exciting offerings. The only thing NYFA doesn’t offer is a football team, but I am sure if you want they can make a movie about football. In the mean time if you or your child or a friend is passionate about a career in film making he or she would be well advised to read the information on the website and then arrange for a visit to the campus. The excitement and energy is palpable and real and it moves you. From its humble beginnings the New York Film Academy has truly emerged as the TOPGUN of modern film schools.